PM asks Bennett, Shaked, not to bring bill allowing Knesset to override Supreme Court for a vote. Prime Minister Binyamin Netanyahu asked Education Minister Naftali Bennett and Justice Minister Ayelet Shaked not to bring the Overrule Clause for a vote at the Ministerial Committee for Legislation. 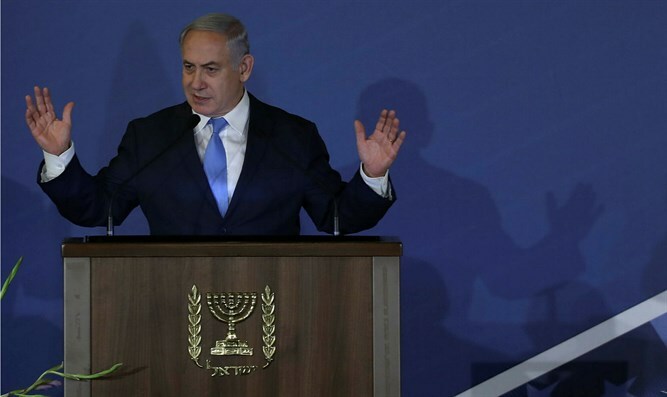 Netanyahu asked the ministers from the Jewish Home party to wait another week for the approval of the law by the ministerial committee, but it is not clear whether Bennett and Shaked will agree to the postponement. Last Sunday, Prime Minister Netanyahu met with Supreme Court Chief Justice Justice Esther Hayut. Justice Minister Ayelet Shaked and Deputy Supreme Court President Hanan Meltzer also participated in the meeting. Chief Justice Hayut stated that the passage of the bill, which would allow the Knesset to re-enact laws struck down by the Supreme Court by a majority of 61 MKs, would constitute a "danger to democracy."